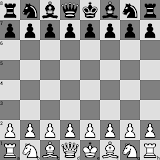 My opening felt ok and computer analysis shows the game to be pretty even overall until my 23rd move, Bd2. Dane takes out the cup again, this time in a straight run with no losses. Don't let it be said that I don't like a challenge! The man is a tireless machine! Good luck for the next series.